OK so I'm curious how many on this forum Suffer from the dreaded Analysis Paralysis Syndrome. For me I find that my Syndrome is Bipolar in nature. On the one hand I can look at a new real estate investment Saturday Morning crunch some numbers in my head make an offer to commit over a 100 grand and 3 months of time by Saturday night. Stocks even less. Minutes, probably should be longer. I've been looking to replace one of our cars, and I'm into it for over 4 weeks and can't seem to find the right thing to do. Same with buying my personal residence & boat. Months of research agonizing over the decision to commit. Until finally exhausted and feeling like I'm I give in and buy. Anyone else suffer from APS? So, let me be the first to say "the poll doesn't provide an option suitable to me"! We call it Paralysis by Analysis and we're full fledged members. Guess I enjoy the process of learning every detail/aspect of something. One bonus is if you analyze a purchase long enough you may get to the point you no longer need it. Does that count towards being frugal? I learned about the BEST labelling of personality styles many years ago. There are other labels for the same things. The main point for this thread is that one didn't want a committee of only "Technical" types to work on something or it would never get done. Of course, one didn't want only one type for anything and a mixture of types was usually better. I spent four years researching and procrastinating before purchasing my current vehicle. I waited two years before replacing my falling apart patio furniture. OTOH, when I have done all the research and a great opportunity pops up, I am capable of making a decision on the spot. So when a rental property in a well managed building where I already own came on the market at a big discount following an estate sale, I made a lowball offer right away (which was accepted). So yeah, I have paralysis by analysis. Sometimes. Yeah, I'm like 2017ish. I can make a pretty quick decision on a car or an investment, even a house, if I'm informed. The investment, for sure, comes down to a numbers/risk decision, and there's no personal taste "will I like this in a year" kind of factor to labor over. Looking at clothes on a rack, though, I can be stumped at times. Often it depends on my state of mind. Shortly after my divorce, I went on a trip, and was in a t-shirt/sweatshirt type touristy place. There was some kind of multi-purchase discount going, but it didn't quite fit what I wanted for myself and to take back to my kid. I swear I looked for an hour at the various options and really was in paralysis, and there really weren't all that many choices. The longer I looked, and the more time I had invested, the less I wanted to settle for less than perfect. After (and even during) that experience, I realized how ridiculous it was and have managed to avoid total paralysis like that, but I'll still spend too much time on some smaller things, like places to stay for a night or two on a trip. Airbnb and vrbo have actually made it better since they are one of a kind places. Unlike a hotel with multiple rooms available (maybe), I realize I can lose out at any moment so I tend to pull the trigger once I've done enough research. I think houses probably fall into that category of something that won't stay around if I wait too long, so I've actually done pretty well with choosing a house. Cars, I am always thinking of what car I'd get next if I had to, and I'm usually pretty quick to decide when the time comes. For us it sets in at a very specific price point - any purchase under $200 does not seem to cause it, nor do purchases over about $1000. But for everything in between we seem to obsess over the "do we really need this?" "can we get it cheaper? ", "Are there other options?" sorts of questions. Our failures to move on big purchases is more related to inertia rather than too much analysis. Once we decide to do something w $ it's fairly quick. We are lucky to be able to say yes to the affordability of about anything we consider, it's more a question of is it really worth it? I'm at the point where I consider it a guilty pleasure and a luxury. SWR anyone? Recent example: been thinking about getting a PPL for several years. Might actually get one this year. Or not. Thinking about flying, watching a few educational movies and such are actually fun in itself. Looked at a few airplane models I'll probably never own, but hey I did try to make TCO estimates and rent vs. own considerations. Next weekend I'm taking a trial lesson. 50% chance I'll realize then I don't like it as much, or I'll get sick like that glider flight I once did. Then that's the end of pre-enjoyment .. There is a good book called "Paradox of Choice." The author also did a TED talk which is good. 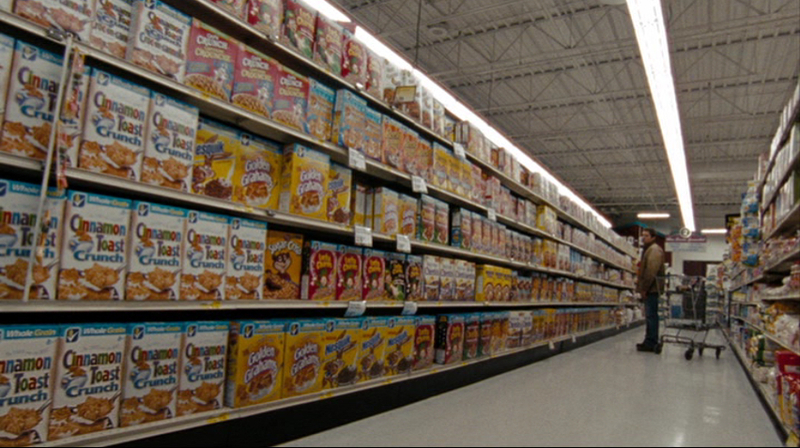 I'm always reminded of that scene in Hurt Locker where the guy comes back from Iraq and has to buy cereal. I feel like that all the time. Who possibly needs that much choice? Not analysis paralysis but laid back approach to buying things. The I get to it when I get to it syndrome, no definite time frame. I had two months of analysis paralysis over renewing my LTC insurance recently. The premium went way up, and I've been conflicted over the whole idea of LTCI anyway. I analyzed the situation to death, read everything I could find on the topic, talked to wise people, ran scenarios, etc. For every positive there was a negative. Finally, having come to no decision the day it was due I caved and renewed, figuring maybe I'll have better answers or more insight on it next year. The fact that I'm feeling flush from the market being up helps right now. I'm usually good with other decisions. I research to the point where I don't think more research is worth my time and then decide. But LTC is its own peculiar can of worms. I won't say never, but I don't usually succumb to 'analysis paralysis.' I enjoy researching products, services, investments, etc. more thoroughly than most before spending money (or time), but I want to act sooner than later, so no paralysis. A car for example would typically take me a week or less from start to finish. My biggest "analysis paralysis" to date was over when to ER. It's such a big decision that I don't feel too bad really thinking it through before taking action. Sometimes it can save $$ as I've found if I delay a purchase long enough, I'll sometimes decide I don't want it at all. Analysis Paralysis is an issue with me as I like to over research but dislike making decisions for fear of regretting that decision. For the last few years, I've been saving for retirement so have avoided large purchases or replacing items unless absolutely necessary. But it is getting to the point where I am ready to retire and will have to make some decisions about when to take social security or whether to do Roth conversions and replace my old car, broken kitchen appliances, and landline phone. Also where to go for vacations. It just took me a month to purchase a laptop and I went around in circles. While I do analyze a lot, once a decision is made, we move forward. Now, what I don't do is continue to analyze choices. I don't want to start kicking myself for not getting a better deal had I waited. Once I know what I want, after studying it half to death for six times as long as anybody else, I have no trouble jumping on it when the time is right. When my dream house came on the market, I wasn't even actively looking for a house. But I knew exactly what I wanted and this was it, so I had my offer in on it less than 20 hours after the realtor first put up the For Sale sign (long before it hit the MLS). When I decided it was time to buy my retirement car, I knew I wanted a Venza if the test drive went well. I was talking to the Supercuts lady about how I needed a new car, realized the time had arrived to buy one, and afterwards went straight from there to the Toyota dealer (wet hair and all!) and bought it. I guess that took about 2 hours. As for retirement, I decided on the date years and years before I retired. It came on a Saturday, so I retired the following Monday when the office was open. No second thoughts; out the door. But you know when I got analysis paralysis? At the very LUCKIEST time; in late 2008 through early 2009. Like some others here I was terrified, though "whistling a happy tune". I didn't know what to do so I just followed my written financial plan which said to do absolutely nothing other than some buying low. That worked out very nicely for me. I just bought a brand new 55" LG Smart TV two weeks ago. It took me two hours to sell a 12 year old Dell 37" on Craigslist for $50. It took almost three weeks to pick out a 55" LG Smart for $420. To make matters worse - my wife and I had to revisit the programming selection process for Cable versus Ethernet versus cutting the Chord. We chose the most expensive (which was Google Fiber) and it really puts Spectrum to shame. That selection process took many weeks, as well. Since there is no "other" category on the poll, I can't decide what to select . The last time I had mild paralysis by analysis was buying a cover for my new phone. Had to choose between black or blue. Even after receiving, had some buyers remorse. But in a few hours, happy with the choice and now at the point of "Look, I got a nice blue phone cover" .